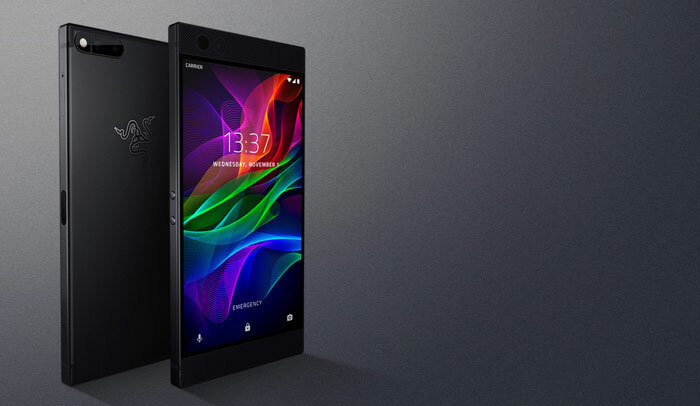 At a keynote in London this evening, Razer unveiled its highly-anticipated new smartphone. 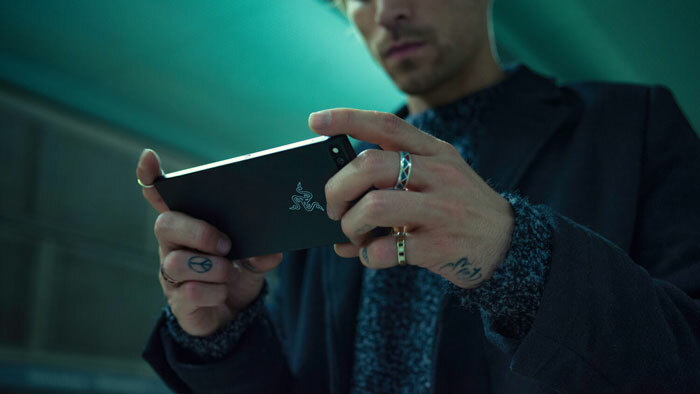 Dubbed simply the Razer Phone, there was a lot of talk about its “groundbreaking audiovisual technologies and processing muscle” that would enable mobile gamers to ‘Watch, Listen, Play’ like never before. However, it’s not all about the hardware, Razer has partnered with “the world’s top gaming companies, including Tencent and Square Enix,” to optimise titles for framerates up to 120Hz, as supported by the new smartphone. “We have wanted to make a phone with gaming-level tech for years, and the Razer Phone delivers in every way we imagined,” summed up Razer co-founder and CEO Min-Liang Tan. Mr Tan admitted he plays “a ton of games,” on smartphones and that they are his go-to device for streaming content. Razer puts a lot of emphasis on the screen of the new device. 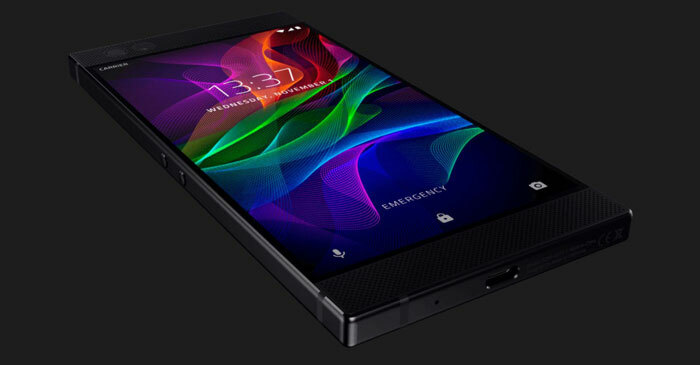 The Razer Phone has a 5.72-inch Quad-HD Sharp IGZO LCD, claimed to be “the world’s first 120Hz UltraMotion display”. That Ultramotion tech includes adaptive refresh rate – syncing the GPU and display to reduce the likelihood of image tearing or lag while driving efficient power usage. The display is also said to offer a wide colour gamut but that isn’t quantified by Razer in its spec list. Last but not least, Gorilla Glass 3 is employed to help keep the display scratch-free. Great audio is said to support the visuals, too. Razer has equipped the phone with twin front-facing speakers, with dual dedicated amplifiers and Dolby Atmos technology. If you listened through headphones you should expect “audiophile-quality sound,” due to the THX-certified USB-C audio adapter with a 24-bit digital audio convertor (DAC). Other key specs that smartphone buyers always consider are the processor and RAM and here Razer definitely doesn’t disappoint with the Qualcomm Snapdragon 835 Mobile Platform and a plentiful 8GB of RAM. Personally, the cameras and battery capacity are important in choosing a smartphone and Razer sports an attractive 12MP AF f1.75 Wide / 13MP AF f2.6 Zoom, dual PDAF, dual tone, dual LED flash rear camera assembly (no mention of OIS, though). A decent 4000mAh battery with Qualcomm Quick Charge 4+ is installed. Other important specs you might like to know: 64 GB (UFS) storage, support for microSD up to 2TB, 8MP selfie camera, support for modern Wi-Fi standards, BT 4.2, and NFC; phone size is 158.5 x 77.7 x 8mm, and the weight is 197g. At launch users will get Android Nougat 7.1.1, with Oreo due to land in spring 2018. The Razer Phone is available for pre-order now and will go on sale from 17th Nov in its launch countries. RRP is US$699.99 / €749.99 / £699.99. Here in the UK, and in Ireland, Denmark and Sweden, 3 Mobile is the exclusive launch carrier. Meanwhile in Three stores in the United Kingdom, Ireland, Denmark, Sweden, at Razer Store in San Francisco, and online in the USA and Canada via Razerzone.com there will be a limited edition (1,337) iconic green triple-headed snake logo-emblazoned Razer Phones up for sale. A nice phone but those extras tacked on are pretty much a waste on mobile games. Give it time, its literally only just been released. I would expect a Switch/Motoz-like game pad to be available soon. At least the logo isn't garish as it may have been in the original report a couple of weeks ago.